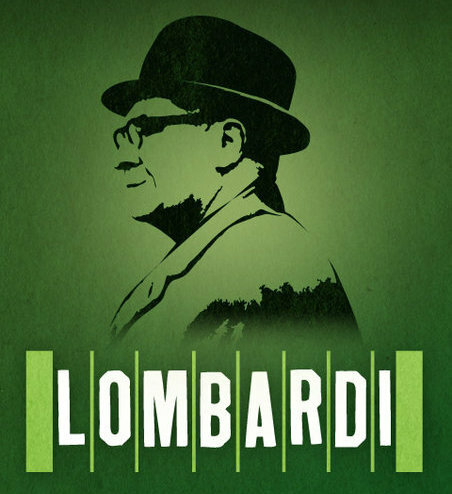 Lombardi is an extremely fun, yet simple story that gives an intriguing behind-the-scenes look at a hot NFL team in the 1960s. Directed with great energy by Thomas Kail, the show keeps a steady pace as these characters become increasingly watchable. I felt like I could watch what happened inside the Lombardi household for hours. Lauria is a dead-on choice for Lombardi, yet delivers far beyond physical similarities with a stage-engulfing presence and not-to-be-messed-with yell. (How does Lauria have a voice even after one performance?) He walks the line between nurturer and slave driver with ease, yet even in his toughest moments, there’s a softness to him. Light runs away with every scene she’s in, with her boozy, dry-humored Marie. She hits the Mad Men notes harder than the entire production of Promises, Promises, which so desperately tried to. But Light’s humor gives way to true affection for her husband; a marriage which she and Lauria build beautifully. The play makes a weak attempt to paint Michael as a chance for Lombardi to redeem himself for his strained relationship with his son, as a result of overshadowing him during his childhood. Knobbs and Lauria make a go for it, but Simonson hasn’t fully fleshed it out and the plot point seems like an afterthought. Lombardi works extremely well in the Circle in the Square Theatre. The production uses the venue’s in-the-round physicality to its advantage, which is more that can be said for The Miracle Worker, the last play to inhabit the theater. Were the producers staking out this theater, or was it just a wonderful Broadway coincidence? The Circle in the Square imitates a stadium—how appropriate. The sports arena look adds a great affect to the production, with much credit going to the lighting and video designs of Howell Binkley and Zachary Borovay, respectively. 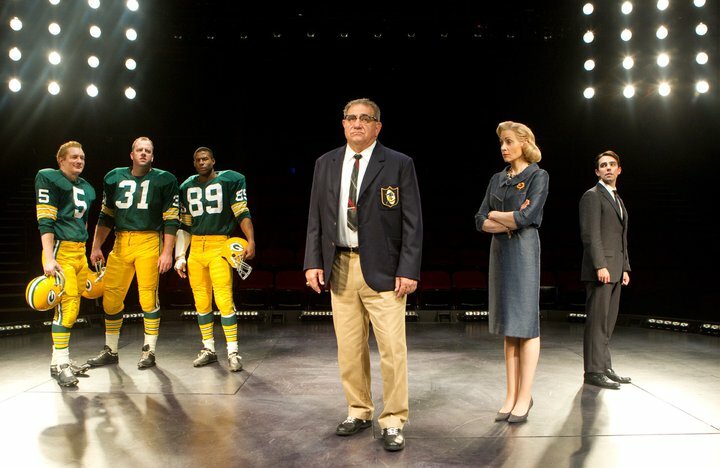 Lombardi has received lots of press for drawing atypical theatergoers—ahem, sports fans—to Broadway. As I took my seat for the performance, I saw a man in a Green Bay jersey take a seat in the back row of the theater. It looked like a typical scene out of the nosebleed section of a stadium. I bet Broadway surprised Mr. Green Bay just as much as Lombardi surprised me. Lombardi has both a student and general rush policy. Both sets of tickets go on sale when the box office opens. Student rush tickets cost $27 and general rush tickets cost $37. Only one ticket per person may be purchased. Wow, I’m surprised that you liked this one so much, due to the subject matter. However, it just proves that with the right creative team, actors and venue, even an atypical plot line for Broadway can be engaging and fun. I’m so glad you enjoyed! @Kym: You’re absolutely right. There’s no substitute for quality. It was a good story and the acting was terrific. I’d recommend it to anyone. It’s helps that you saw it with my Mom – arguably the most adorable woman on Earth lol. Ah man, I want to see more clips from the (what was it called?) event with the understudies! I’m glad you included a piece with (how do you say her name??) the beautiful woman from the Lion King.